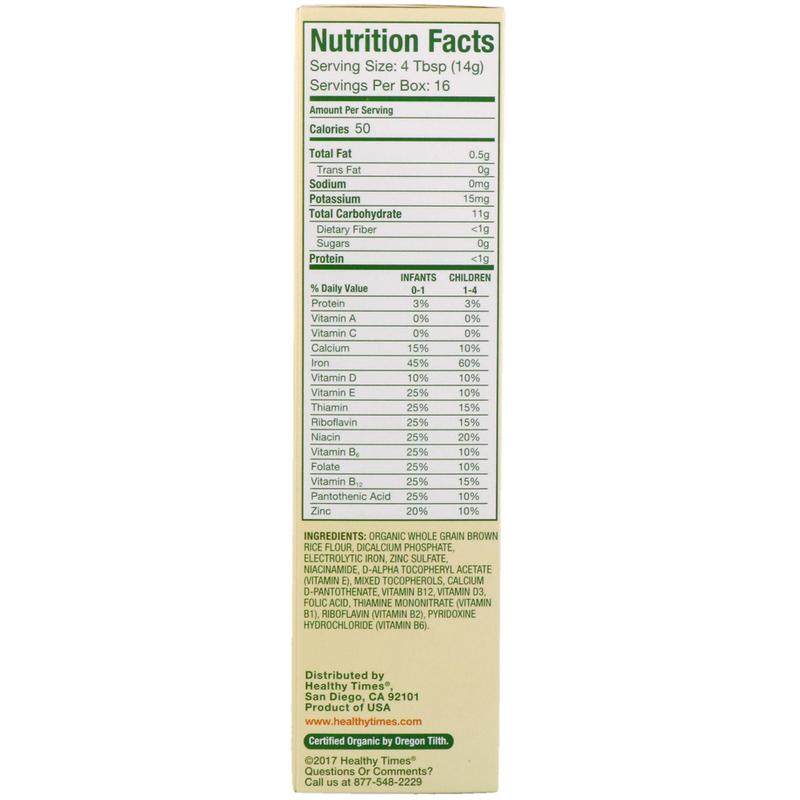 Dear Parent: Healthy Times uses the finest, premium whole grain brown rice that is organically grown without any synthetic pesticides, insecticides, herbicides or fertilizers. Healthy Times is also made without genetically engineered ingredients. Healthy Times Certified Organic Baby Cereal contains Iron for healthy red blood cell count and brain development, Vitamin D and Calcium for strong bones and teeth, Zinc for healthy immune system support, and 7B Vitamins for healthy growth and development. Healthy Times' unique cooking process naturally enhances the flavor and texture of whole grains, while maintaining the natural nutrients your baby needs. Your baby will love the delicious taste and creamy texture of Healthy Times Certified Organic Baby Cereal. 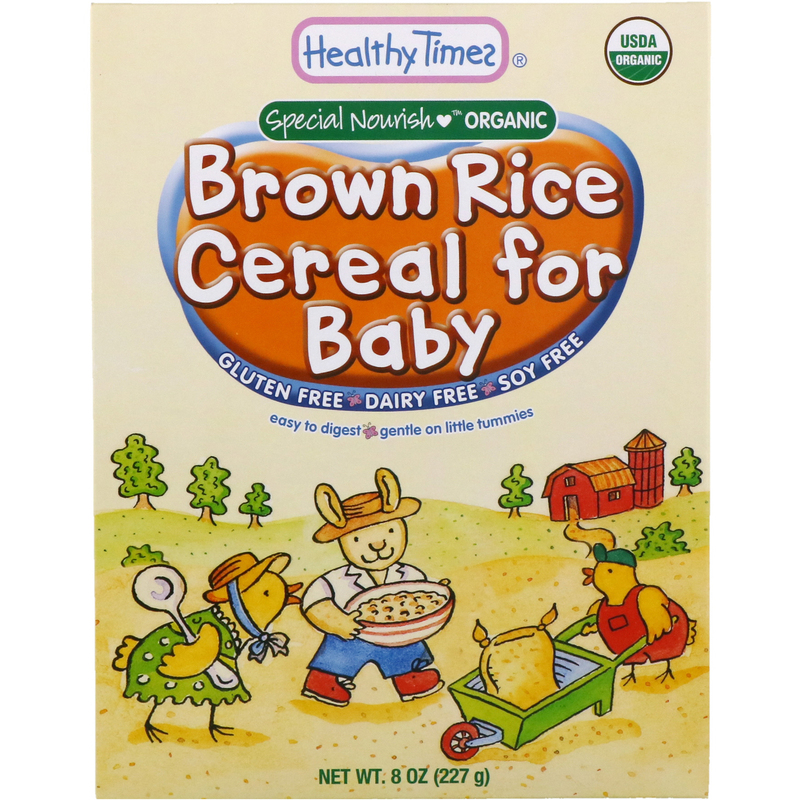 Try Healthy Times Organic Baby Food with baby's cereal for a delicious taste! 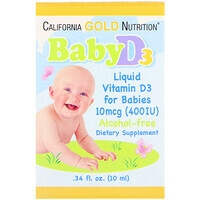 For Toddler: For children over on year of age, mix with whole milk, purified water, or juice. If mixing with whole milk for children over 1 year, heat on High Power for 15-25 seconds. Baby Cereal is an important part of your child's diet for both infants and toddlers. Organic whole grain brown rice flour, dicalcium phosphate, electrolytic iron, zinc sulfate, niacinamide, d-alpha tocopheryl acetate (vitamin E), mixed tocopherols, calcium d-pantothenate, vitamin B12, vitamin D3, folic acid, thiamine mononitrate (vitamin B1), riboflavin (vitamin B2), pyridoxine hydrochloride (vitamin B6). Important: Store dry cereal in cool, dry place. Use within 30 days of opening package.